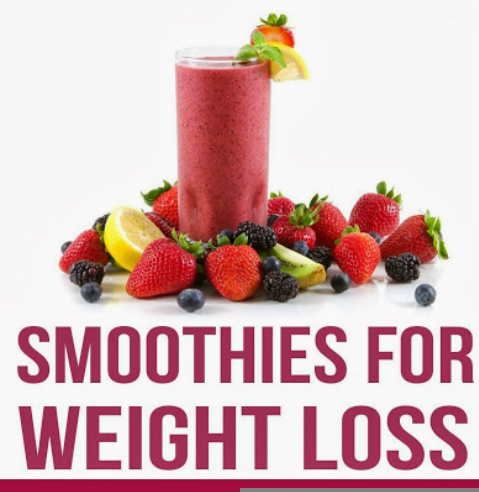 There are lots of smoothies that aid in weight loss; these fruit smoothies offer a delicious, nutritious way to lose weight. The reason that smoothies can help you lose weight is that you can get all of your necessary nutrients in one glass without adding in excess calories. By combining the right ingredients, you can create smoothies that taste great and help you drop pounds. Apart from a strict diet and exercise, you can simply lose weight by having fat burning smoothies. These measures to lose weight don’t require much of your energy and time which you spend in gyms. If you are bored of having those boiled food for weight loss, here are simple and delicious natural homemade fruit smoothies that aid in weight loss; which can be tasty while helping you slim down easily. Take a look. This smoothie aids in weight loss, tastes delicious, and is so easy to make! The kiwifruit and pear will make this taste so amazing. Moreover, you'll get a hefty dose of vitamin C and potassium, which is great for healthy bones and teeth. Place all the ingredients into the blender and blend until its smooth, then add the ice cubes and blend until the mixture is slushy. Here’s another perfect summer smoothie that aids in weight loss! All you need is lettuce, cantaloupe, tomato, strawberries, and orange juice. You won’t taste the lettuce, but wow, will you get the energy kick! Cantaloupe melon also offers twice the recommended dose of vitamin C too, which will help to support your immune system and keep your skin in tip-top condition. Juice the 2 oranges and combine juice with other ingredients. Place everything in the blender and blend until smooth. What could be better than a watermelon smoothie on a hot summer day? It’s loaded with healthy fruits like watermelon, is so low in both calories and fat and pineapple which helps dilate blood vessels to promote blood flow. Also, it has coconut water – one of the most hydrating liquids out there. Another positive aspect of coconut water is that it reduces blood pressure which can make you lethargic. Put half the watermelon and pineapple in the blender and blend until smooth, then add half of the ice and sherbet; blend until smooth. Repeat the process with the rest of the ingredients. Papaya contains carotene plus high amounts of vitamins C and A, as well as lower amounts of iron and calcium. This wonder fruit is low in calories and high in nutritional value, is good for the digestion, and aids in weight loss. The papaya gives you more than your daily recommended value of vitamin C to keep your immune system strong and ward off disease. And the apple and banana give you a dose of antioxidants! Put all ingredients into blender. Blend until smooth. Enjoy! This smoothie that aids in weight loss is a total tropical treat! Avocados have good fat, as long as you don't go overboard, and the addition Avocado lends this refreshing drink a silky smoothness. The pineapple is a nice touch, and the mango really lends a hand with additional vitamins and nutrients that are tough to find in other fruit choices. You’re left with a tropical-tasting blast of antioxidants that will be of great help to your body. keep things moving. The citrus is so refreshing, give you all the Vitamin C you could ask for, and to bombard your body with antioxidants as well. This one is so easy smoothie that aids in weight loss! In fact the pineapple is wonderfully refreshing. Its tart and sweet at the same time, it's just perfect! There’s also a banana in here going to give this a lovely flavor, and makes it very palatable as well as good for you. Put all the ingredients into the blender and blend until smooth, then add the flax seed oil. These golden fruits provide a feast of vitamins. Peaches are full of vitamin C (100 g gives 77% of the RNI); apricots are a good source of the B vitamins (B1, B6 and niacin); and mangoes are an excellent source of vitamin A – just 100 g of mango provides half the RNI of this vitamin, which is important for vision and for the prevention of heart disease and cancer. Add all the ingredients to your blender and blend on high for 30 second or until creamy. Bananas are a useful source of the mineral potassium, a good intake of which may help to prevent high blood pressure. Like other oranges and deep yellow fruits, mangoes are exceptionally high in beta-carotene. The high fiber content in mangoes found in this healthy fruit smoothie may also help induce feelings of fullness. Milk is an excellent source of several important nutrients. Peach and Banana smoothie is so simple and sweet, yet it's one of the best smoothies that aid in weight loss! With a minimum of ingredients -- milk, frozen peaches, banana and flax seed oil -- it's easy to make, this smoothie is a great blend of vitamins and minerals—an excellent boost of energy at the beginning of your day or just before the gym. Blend all of the ingredients until smooth, Transfer to glass, and then add flax seed oil. This smoothie aids in weight loss, tastes delicious, and is so easy to make! The kiwi, honeydew melon and mango will make this taste so amazing. Pamper yourself or impress your guests with this delicious and dynamic drink. Moreover, you'll get a hefty dose of vitamin C and potassium, which is great for healthy bones and teeth. Half a melon contains almost twice as much potassium as bananas does, making it a low-calorie, high-antioxidant alternative that can aid the removal of excess fluids around the body. Despite their size, fresh apricots are well-suited for low-fat diets because they are particularly rich in fiber, especially insoluble, which absorbs water and helps contribute to a feeling of fullness. But their fragrant aroma alone makes fresh apricots a dieter's delight. Fiber contributes in several ways to aid in weight loss. It acts as a bulking agent, helps you feel full, and slows the release of your stomach's contents. Fiber also promotes quicker movement of food through your digestive tract. Add all the ingredients to your blender and blend on high for 30 second or then add the ice cubes and blend until creamy. The high pectin (natural fruit sugars) content contained within pears makes the juicy fruit a strong diuretic and good at fending off unwanted water retention. They are high in fibre, too, which encourages a feeling of fullness and healthy digestion. With calcium, fibre, protein and vitamins B and C all swirled into this tempting smoothie; the Pear, Banana and Mango Smoothie is an all-round great recipe for any time of the day. An avocado is capable of a lot more than delicious guacamole. This creamy green fruit is loaded with vitamins C, E and K, which are essential for healthy skin. It may also help reduce dryness and irritation. Avocados also contain glutathione, a substance that specifically blocks intestinal absorption of certain fats that cause oxidative stress—the damage to our skin due to environment, diet, alcohol, UV rays or smoking.